Total 551 AA. MW: 62.5 kDa (calculated). UniProtKB acc.no. P07196 (Ser2-Asp543). N-terminal His-tag (9 extra AA). 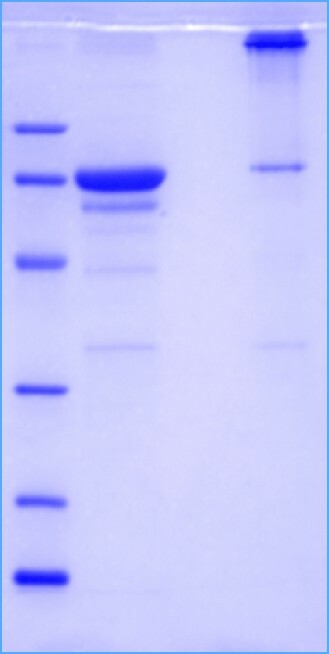 Protein identity confirmed by LC-MS/MS. Filtered (0.4 μm) and lyophilized from 0.5 mg/ml solution in 15 mM Tris, 85 mM Glycine, pH 8.5.